Our meal schedule has been somewhat erratic for the past month, so Julie and I couldn’t commit to any of the full-week meal options recently. 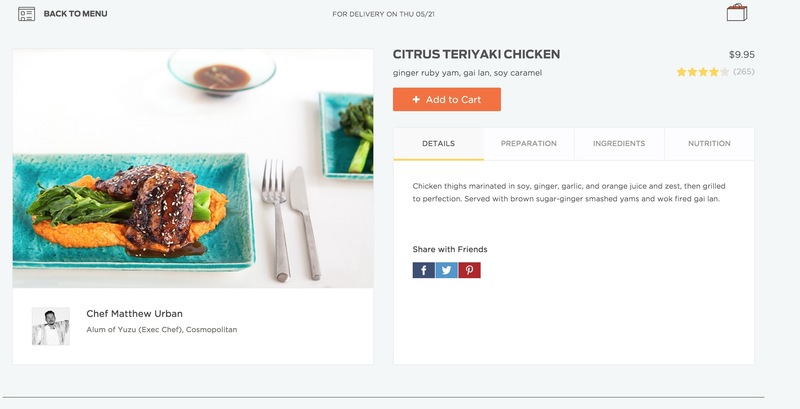 Despite lapsing on that, we were able to order Munchery to fill in an unusual day, and it was quite convenient. Even without considering the number of meals, it was much more convenient because we ordered our meals for the next day, while Plated needed to be ordered several days in advance. The experience online was very similar to our first order: I think the only catch this time was that we also had to put in our tip for the driver. I think I already mentioned my dissatisfaction about having to pay tip and tax on top of the set price, but our meal (without discounts) for 2 ended up being $27. It’s certainly on par with restaurant food at that price. The preparation was quite easy: we got the salad on the plate, and we put the chicken in our toaster oven, which very conveniently fit again. We ate the salad while we warmed up the chicken, and both we sliced easily with a paring knife. One thing we noted was that that the salad portion seemed small. Looking at the packaging, I think they were constrained by the standard box size and the amount of greens they could stuff in there. 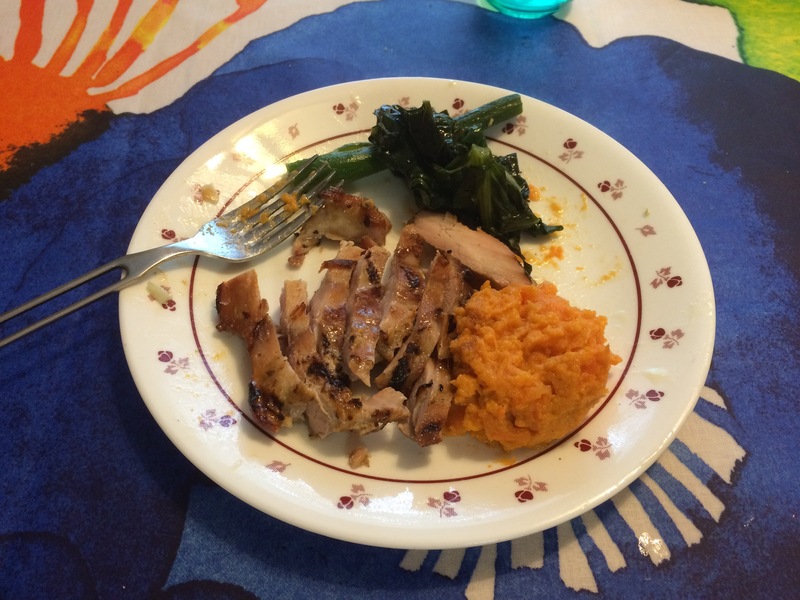 Overall, we were pleased with the meal: compared to our previous Munchery meal, we thought that the meals were more cohesive and worked together better. 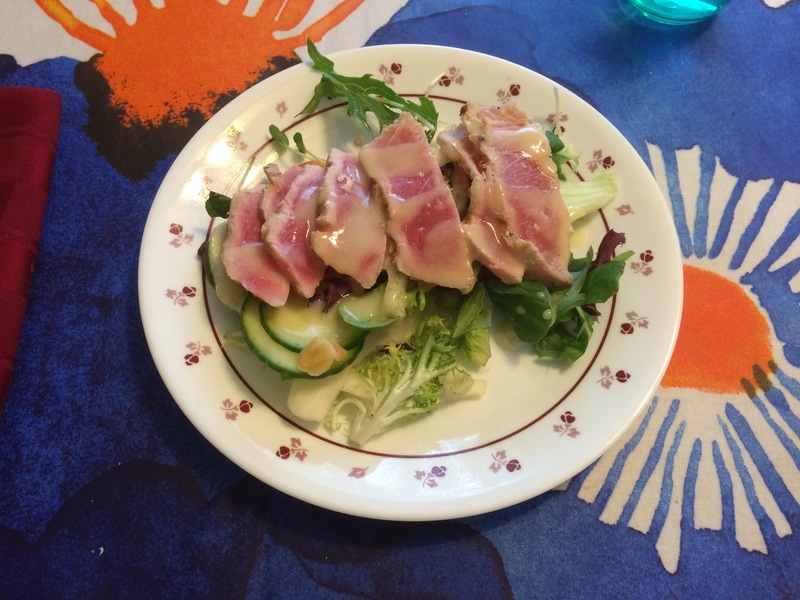 Between them, the grilled tuna salad was definitely the fancier option: it felt like something I would order at a restaurant, whereas the teriyaki chicken was something we might have managed on our own. The good news is that there were no surprises. 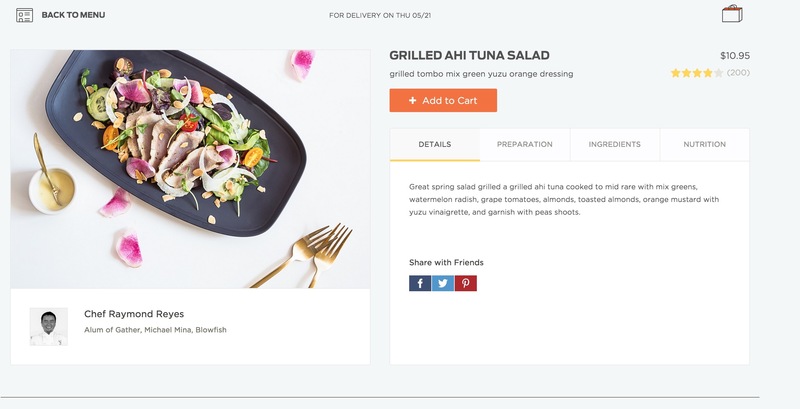 Based on 2 meals, it seems that Munchery provides a tasty, reliable service. Our experience this time matched our experience the first time, so we can confidently keep our rankings the same. Keep an eye out for our next review soon! I’m actually catching up as we just had our first Blue Apron meal this evening and will be sharing more about it soon. This post is part of the Dinner Table Tournament where I pull Julie along my need for novel experiences in “staying in” dinner options to generate blog content. I have not been compensated by Munchery for this in any way for this post. Yet.